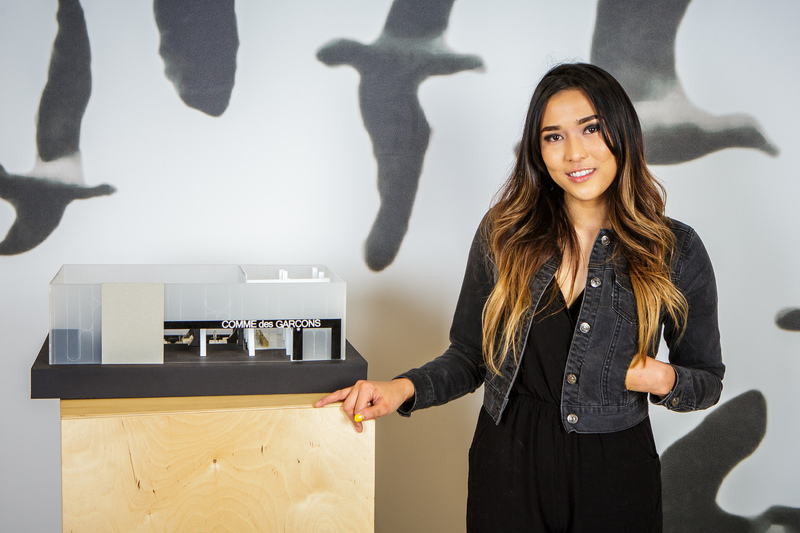 Environmental Design student Melissa Nguyen’s hard work was recognized and rewarded at the 2018 IIDA (International Interior Design Association) SoCal Student Portfolio Competition. Of the 20 students that were chosen to participate in the second round, only three received awards. Melissa won the $7,000 Innovation in Interior Design Award for her boutique hotel project from Emil Mertzel’s Environmental Design 3 class. The Innovation in Interior Design Award is awarded to a student with a project that achieves a high level of innovation through design solutions that show creativity and a fresh approach. The focus of this category is in the process of achieving the end result through techniques that can include research, inspiration, ideation, experimentation and graphic thinking. She will be formally presented with her award at the 30th Annual IIDA Calibre Design Awards on May 18, 2018 at the Beverly Hilton in Los Angeles. Congratulations to the five other Environmental Design students who also made it to the second round: Moona Kim, Andres Zavala, Doris M. Huang, Zack Eisenberg and Chikako Sakamoto. Emil Mertzel is a practicing architect and partner at Lookinglass Architecture and Design, as well as a full time faculty member in the Environmental Design Department at ArtCenter.